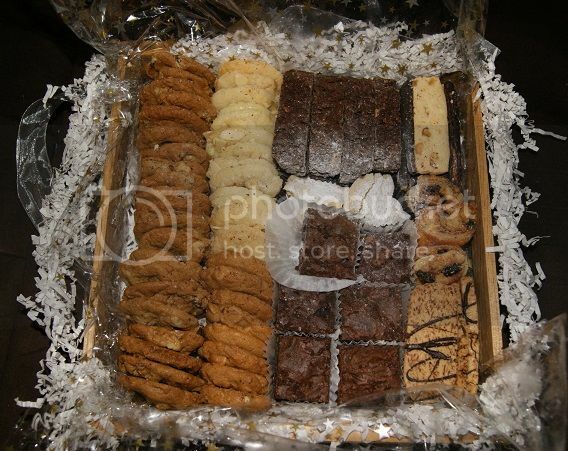 Andrea's World Reviews: Send Them Cookies Review and GIVEAWAY! Still trying to find the perfect gift for someone on your list? Well Have no fear. I have the perfect thing. I know what you are thinking, you are wondering how can I know the perfect thing for your Grandma(or mailman, or sister, or boss, and so on). Well it's because this gift is perfect for anyone and EVERYONE. I know that you don't want t give(or receive) the kind of gift that just gets put in a closet and forgotten about. You want something that will stand out, and more importantly, be enjoyed. And what could possibly be more enjoyable than fresh, delicious cookies? What's that you say? Well that's true, Brownies are pretty hard top. Good thing that the super amazing gift crates from Send Them Cookies have BOTH(and then some). The particular crate I got has 9 different kinds of treats. I think the one I got was the European Sampler Crate, although mine was slightly different that as described. My Crate contained the following. These have chocolate chips as well as nuts. They are really good. Not too much chocolate, which I actually love. I don't want my chocolate chip cookies to be more chocolate than cookie, and I usually will not even eat those that are like that. These are slightly chewy and also a little bit crisp. 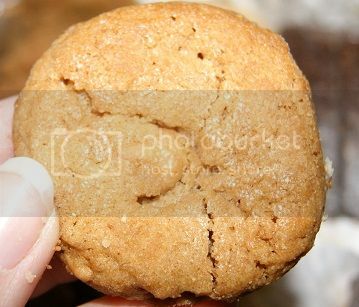 I love the texture and that they are not too soft like some cookies are. My husband LOVED these. He ate most of them, I only got a couple. These were so good. They remind me vaguely of a sugar cookie(but not as sweet). 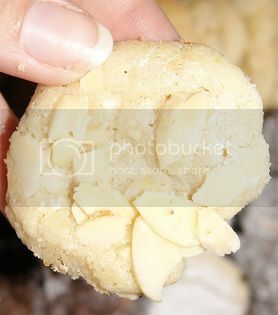 The almonds make them wonderfully different and give them a really nice flavor. But what makes these cookies even more special is that they also have a touch of citrus flavor(orange I believe, but possibly lemon). I have never had a cookie like this before, and it was amazing. These also have the slightly chewy texture without being to soft. Perfect. These are spectacular! I only like certain peanut butter cookies, and these are among they best I've tried. They have a great peanut butter flavor without tasting too dry or overly peanut buttery. These have a softer, chewier texture than the other cookies, which makes them the perfect "soft" cookie. My daughter loved these. Every time I tried to eat one, she would make me give her some(if not all). These are "death by chocolate" brownies if I ever had any. The chocolate flavor is out of this world. They even have chocolate chips in them. Once again, my husband pretty much devoured these by himself. He said they were better than home made(and that is saying a lot). This picture does not really do this cookie justice at all. These are topped with powdered sugar, so the picture came out way too white. But from the name you probably gathered that they are Raspberry. 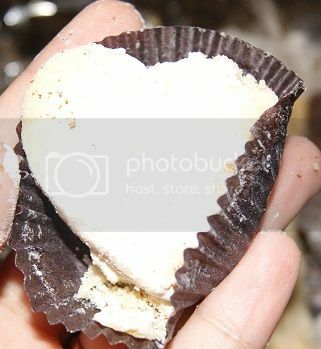 Raspberry filling(jam like) inside butter(type) cookies and topped with powdered sugar. So delicious and fancy looking. The raspberry really makes these taste bright and super sweet. These were one f my favorite things in this assortment. Honestly, I was not a fan of these at all. But the reason for that is that I do not like ginger and these had real pieces of ginger in them. Obviously that goes to say that if you like ginger, you will love these cookies. Hubby ate some of these, and would have ate more, but he was too occupied with everything else. These are possibly my favorite thing of all. I do not always like coconut. Inn fact, most if the time, I don't, but these are so incredible. 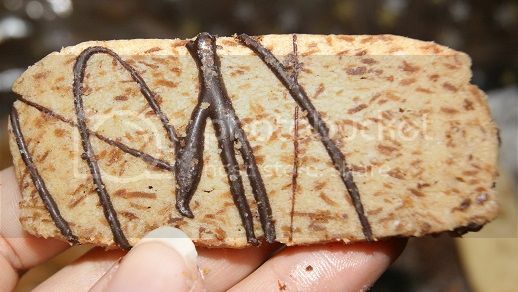 The toasted aspect really made the coconut have a really great depth of flavor. The cookie was outstanding, soft with a bite to it and a wonderful buttery flavor. And the chocolate drizzle just made them all the more decadent. Not too sweet, but definitely indulgent. 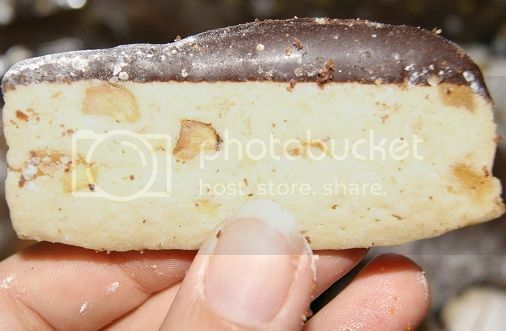 I love biscotti, and this one is so good. Just enough yummy chocolate to make this already great treat even better, without a sweet overload. The walnuts add a wonderful flavor and a nice variance in texture. They are not too hard either, which is a common problem with lesser quality nuts. These were perfect dipped in my coffee. They paired perfectly. Things that are too sweet make the coffee taste funny. 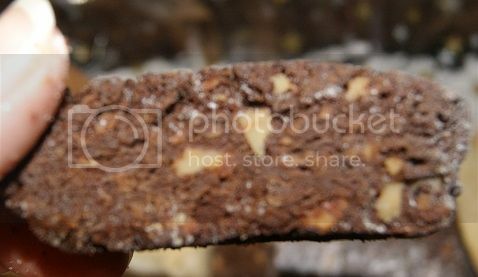 I did not have that problem with this awesome biscotti. I am not even sure what this is called, but it is incredible. This is my favorite item, along with the coconut bars. 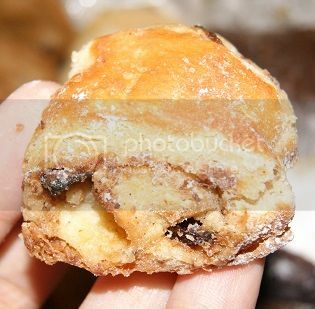 It is a pastry of some kind with raisins and a touch of cinnamon flavor. It is soft and sweet and perfect for breakfast, snack or dessert. Everything in this crate was super fresh and so tasty. The quality of the ingredients as well as the experience of the baker really shines through on each of these tasty treats. 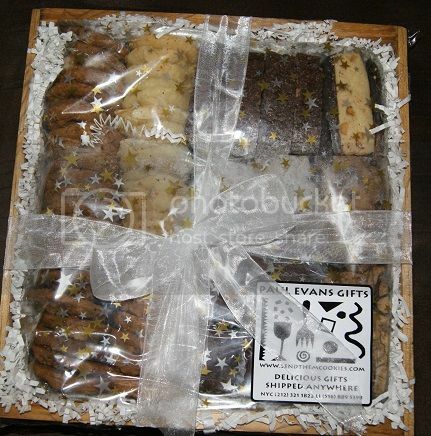 Send Them Cookies bakes from scratch using only fresh ingredients(and never preservatives). They ship the same day o make sure the products arrive to you as fresh as possible. It home made, only better(than most people can make). Even if I had the time, the recipe and the ingredients, I know I could still not make these products as good as they come from Send Them Cookies. So it's good to know I will never have to try. Fresh baked cookies(and goodies) are just a click away. So stop racking your brain to find the perfect gift. Give the gift of homemade goodness this holiday(without all the work). Weather it is this wonderful crate or any of the fantastic item at sendthemcookies.com, a gift from Send Them Cookies is sure to impress. You better order some for yourself too though, because once you see, smell, or especially taste these delectable delights, you will not be able to stay away. And it would not be very nice to eat someone's present yourself. 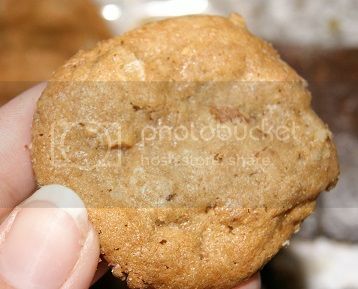 Check out Send Them Cookies on Facebook to keep up on all the latest cookie news. Enter below for the chance to win your own crate of these amazing cookies. Good luck. 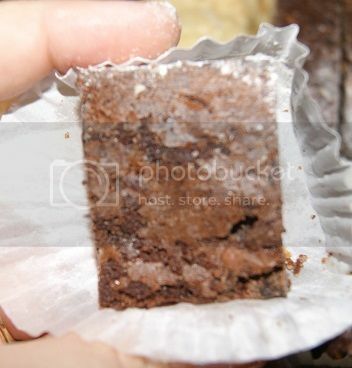 Oh baby they all look so tasty but give me something with chocolate light the fudge brownie bites!!! OMG. I love them all!! Almond shortbread & brownies, can't decide they both look amazing!